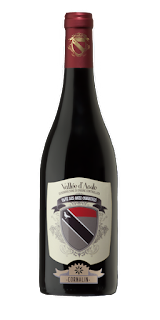 Made from 100% Cornalin, which is a widely planted indigenous variety of the Valle d’Aosta, the 2016 Valle d’Aosta Cornalin offers a more transparent character as well as a Nebbiolo-like style in its cherry, crushed rocks, spice , and floral aromas and flavors. Medium-bodied, fresh, lively, and with obvious minerality, drink it over the 4-5 years. Cultivated in Valle d'Aosta (and Switzerland)....a very demanding grape in terms of heat and brightness, it is characteristic of the central valley. The most suitable slope is undoubtedly the orographic left, but at not too high altitude and with adequate exposure it gives very interesting wines on the opposite side. Color: deep ruby ​​red, with purple red. Taste: dry, soft, rich in important but velvety tannins. Exquisite when savored at the right maturity. 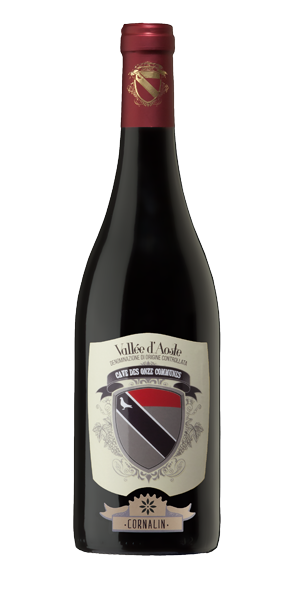 The good body of enveloping tannins, make it a good companion for many important dishes of the Valdostana cuisine. Thanks to the great professionalism combined with the use of high quality organic grapes and the use of the best technologies, the Cave Des Onze Communes now boasts the production of 18 strictly DOC wines (denomination of controlled origin) "Valle d'Aosta", brand that designates renowned products, whose characteristics are connected to the natural environment in full compliance with a specific production specification.